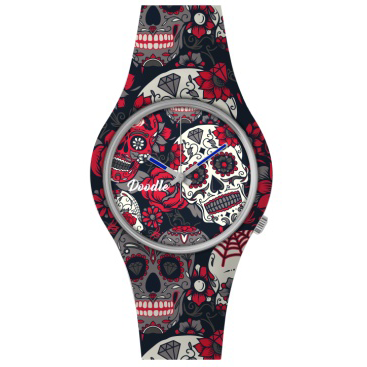 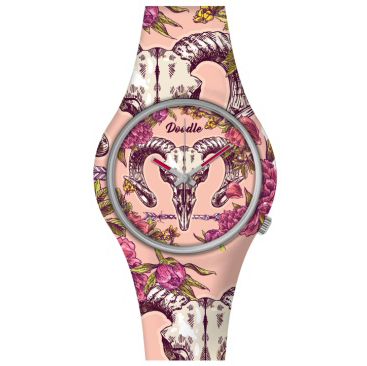 This skull watch for the Day of the Dead designs are drawn like a comic. 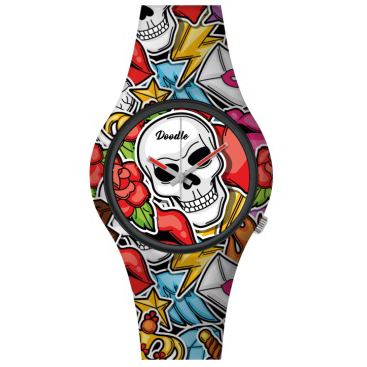 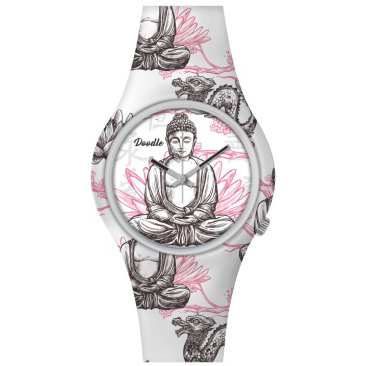 These original designs are complete with bones and roses and other objects that let you express yourself and your style on your wrist. 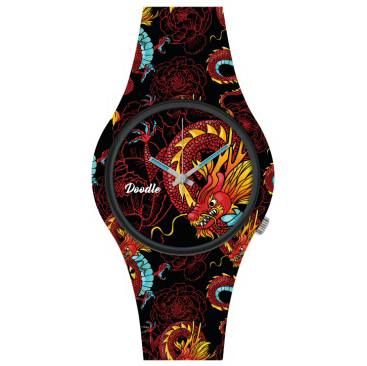 It’s like wearing a comic book on your wrist.